Los Angeles has long been known for its car culture. Now, with the arrival of the Space Shuttle Endeavour at the California Science Center, space exploration is on the minds of local and visiting space-travel enthusiasts. When you visit LA, you can see a variety of historical and futuristic space exhibitions and attractions. Pasadena's Jet Propulsion Laboratory (JPL) has played a major role in U.S. space-exploration achievements and offers free two-hour tours of its Pasadena facility (a minimum of three weeks notice is required). Kidspace Children's Museum has more than two-dozen interactive exhibits designed for children from ages one to 10. At the Museum’s Galvin Physics Forest, kids can learn firsthand about what it takes to get an object into space by creating mini-bottle rockets and study gravitational acceleration with the Ball Bounce exhibit. 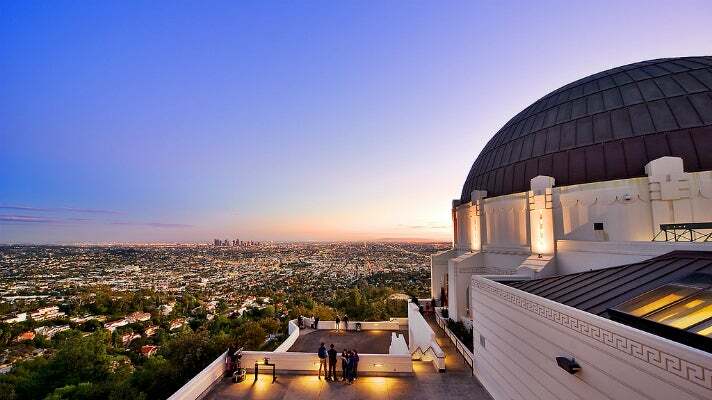 Also, be sure to visit the Griffith Observatory, which reopened in 2006 after a four-year, $93 million renovation. The 9,000-pound Zeiss Telescope can accommodate as many as 600 viewings per night, giving visitors an unmatched view of the moon and stars on a clear Los Angeles night.